Ocean County officials were remembering a man who they said “poured over” proposed legislation and put his constituents first. 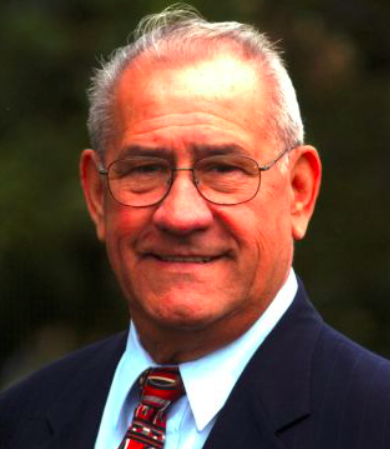 Leonard T. Connors served as an Ocean County freeholder, state senator and – for nearly a half century – mayor of Surf City. He won re-election in Surf City last year, but decided against serving into 2016, which have been his 50th year in office. Connors died Sunday at the age of 87. Connors began serving as mayor of Surf City in 1966. He successfully ran for a seat on the Ocean County Board of Chosen Freeholder and began serving the first of two terms on the Board in 1977. He was elected a New Jersey State Senator in 1981. Kelly said Connors crafted state and county legislation that has had a lasting positive effect on Ocean County residents. Freeholder Joseph H. Vicari said a number of Connors’ bills benefitted seniors and veterans. Freeholder Deputy Director Gerry P. Little, a fellow Surf City resident who served as Chief of Staff for Connors and the 9th Legislative District from 1984 until 2003. Little recalled the standoff in the mid-1980s when then Gov. Thomas Kean and the state Department of Environmental Protection decided to place hundreds of barrels of radon contaminated soil in the Colliers Mills Wildlife Management Area in Jackson Township. Little said that in Trenton, Connors was a respected maverick and voted on legislation based upon its impact on Ocean County. “His favorite saying was if it’s not good for Ocean County, it’s not good for New Jersey and he would oppose any bills that would not meet that standard,” Little said. Freeholder John C. Bartlett Jr. said Connors introduced him to Ocean County government and the two ran together for seats on the county freeholder board in 1979, the first time Bartlett ran for county office. Bartlett called Connors “one of the most knowledgeable people” he has ever met. “Len had a real knack for just knowing the issues. It was innate,” Bartlett said. Little said that each Friday afternoon, Connors and his wife would enjoy a weekly food-shopping trip to the grocery store in Manahawkin. Ocean County Freeholder Virginia E. Haines said Connors was known for reading proposed legislation front to back.